NEW! Envision a dental Implant with new technology. 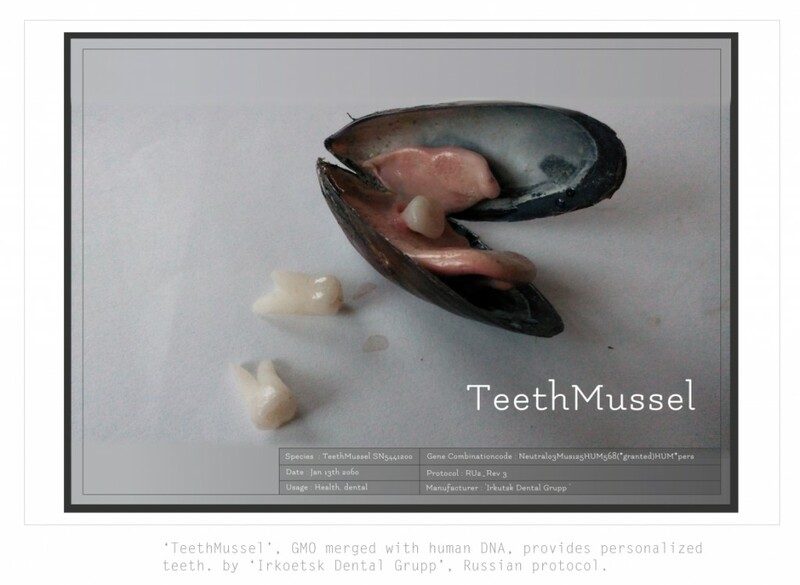 The TeethMussel produces personalized teeth based on a persons DNA blueprint. A combination of human DNA (special permission granted) and a mussel. 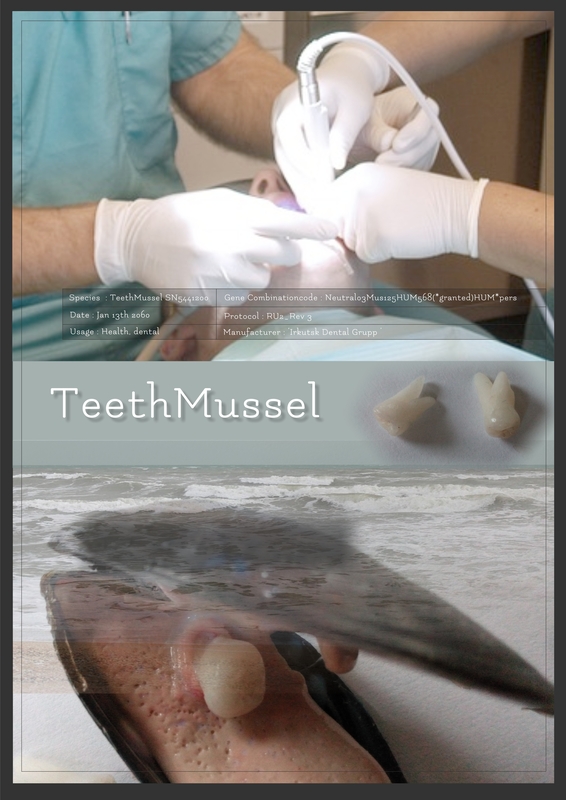 The teeth can be implanted in the jaw. ‘Health institute : Irkutsk Dental Grupp, Gene combinationcode: Neutral03Mus125HUM568(*granted)HUM*pers, Protocol RUSib2-Rev3, Usage Health, Dental’.